With the help of our sponsors and editors, we've assembled a selection of gifts that we think are a great fit for families, gadget lovers, techies, and basically anyone who's hard to shop for. 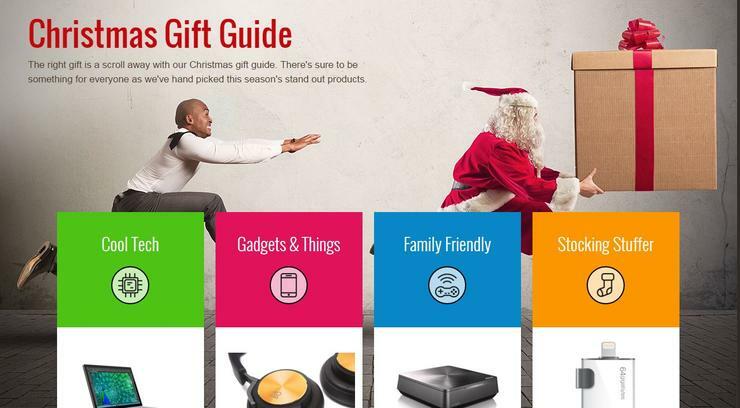 From the standard stuff, such as headphones, smartphones, laptops and tablets, to more quirky gifts, such as smart pens, Wi-Fi-enabled lights and cars, we've got you covered. Perhaps you want an ebook reader to convince an avid bookworm to go 'electronic'. Or maybe you know a rocker or two who would love a pair of killer headphones. Then there are fitness gadgets that are designed for training, motivation and wellness. Simply click anywhere on this sentence to check the informative guide out. And of course, Happy Holidays.